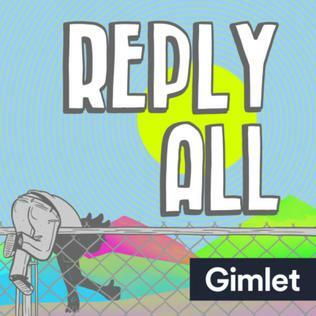 I thought it would be a fun project to take the transcripts from every episode of Reply All and see what we can learn about the show. As is often the case in data science, 80% of the challenge is to gather and clean the data. To gather data, we will make use of a few R packages. rvest will do most of the web scraping, and dplyr, tidyr, and stringr will help to clean and organize our data. So, without further ado, let’s load ’em up! library(tidytext) # analyze text data! To get the transcripts of all the episodes, first we need to know which episodes are out there. By navigating to the Reply All website, we can load a handy list of all episodes as well as some hyperlinks that will take us into the individual web page for each episode. This link will serve as the starting point for our web-scraping. We will use some functions from rvest to pull the hyperlinks to every episode we will eventually want to read the transcript from. 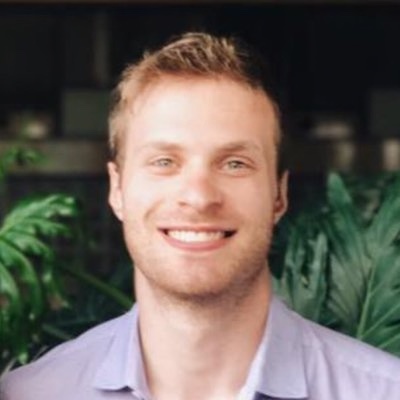 This was my first time using rvest, and I found this post from Justin Law and Jordan Rosenblum to be helpful, as well as this RStudio blog post from Hadley Wickham. To get the episode links, we will look for all HTML in the <a> anchor tag and pull the href attribute where the hyperlink lives. Let’s clean this up a little bit, by only including episodes that reference #episode-player at the end of their link, indicated that there is an episode there, and not some other webpage. We can also filter out episodes that are rebroadcasts or presentations of other shows in the Reply All feed. The process of filtering down this list took some trial and error, as the formatting of episode titles in the hyperlink was inconsistent. We can also add in the episode number, which I originally tried to parse out from the string, but I am not good at regular expression, so I just used some math to back in to it. Finally, we add in the full web link, by appending the hyperlink extension to the Gimlet Media homepage (gimetmedia.com). Now that we have a link to every episode we want to parse, it is time to write a function that, when given a link, returns a transcript. This took a lot of time to nail down. As alluded to, the data and transcript formatting as inconsistent and messy. It took a fair amount of time and iteration to try to get this right. I spent a lot of time on https://regex101.com testing out stuff. # each string is separated by the person who said it. tolower(text) != "transcript\n        [reply all theme"
Now that we have a function, let’s test it for a single episode to show it in action. Now we can use purrr to iterate through every episode and ‘map’ the function getTranscript to each episode link. I learned a lot about iterating with purrr from this tutorial from Jenny Brian and the chapter from R for Data Science on Iteration by Garrett Grolemund and Hadley Wickham. This takes ~3 minutes to run, depending on your internet connection. Now that we have a big data frame, we can do a little more cleaning of the data. Arguably, this is avoidable with more intelligent regex and string work earlier, but this cleanup will have to do for now. I briefly use the zoo package to fill in some NA values in the speaker column using the previous non-NA value (inspired by this StackoverFlow answer). And after all of that, we now have some sort of nice text data from every episode of Reply All! We can write the data to a .csv for anyone to use in the future. In a future post, I will start to analyze this data!